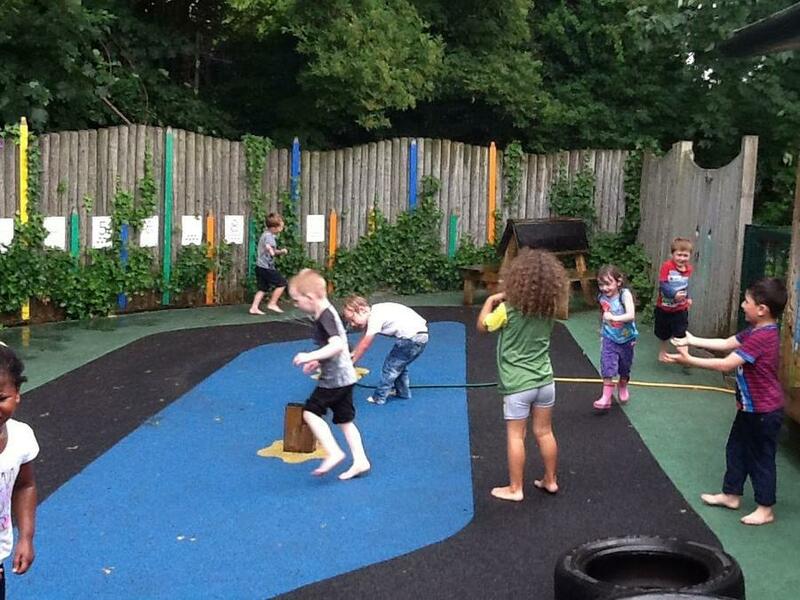 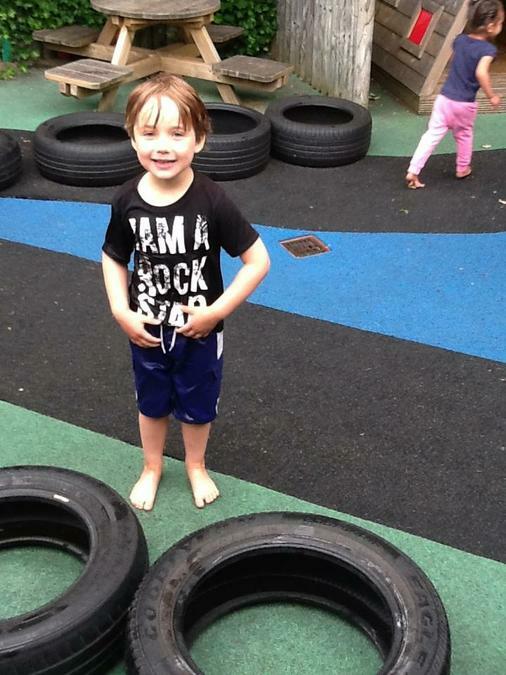 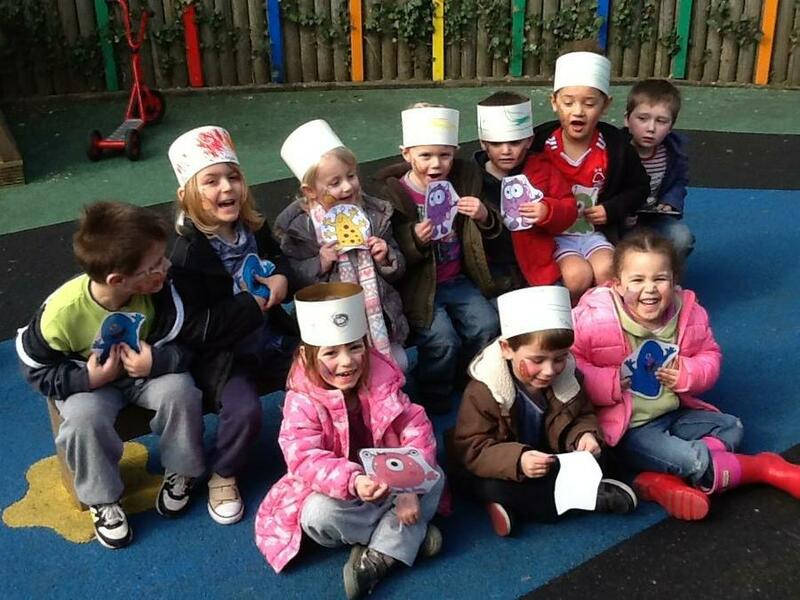 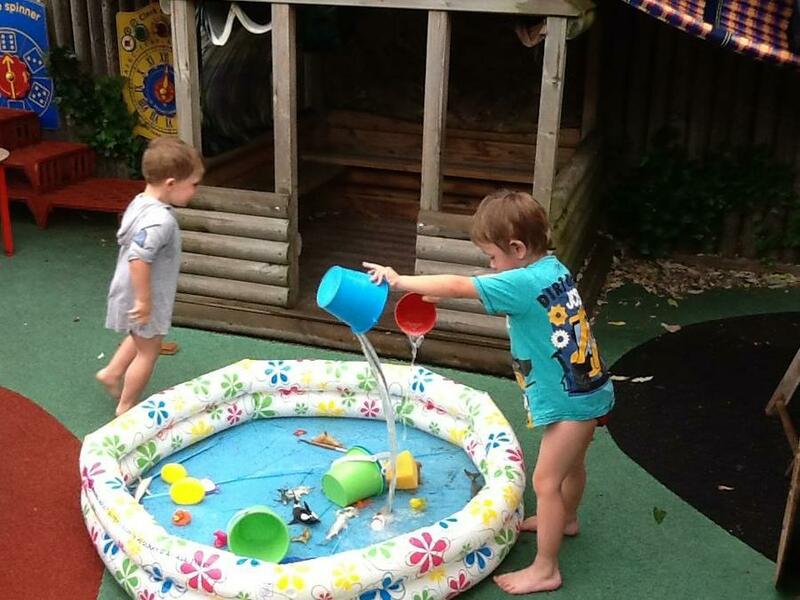 At Nursery we enjoy learning through play in both our indoor and outdoor learning environment. 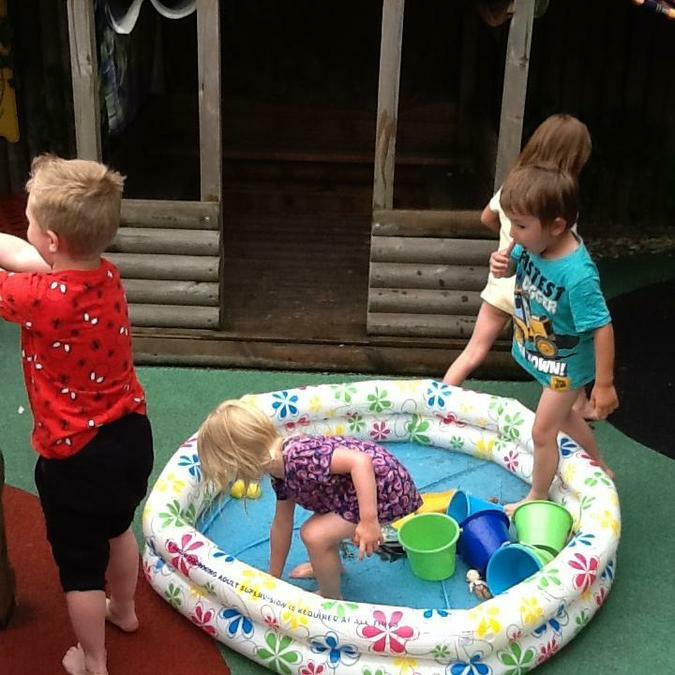 During our independent learning time we are able to explore a wide range of different activities in areas such as: sand, water, role play, writing area, number area, creative workshop and many others. 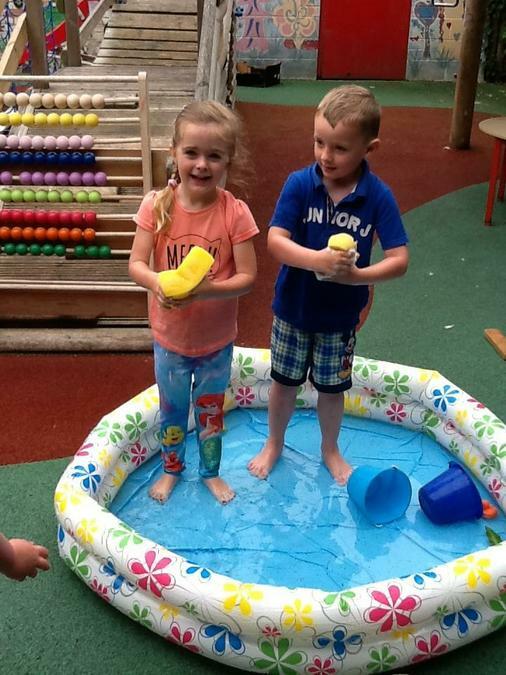 These activities are helping us to develop lots of new skills including sharing and turn taking, socialising, independence as well as Literacy and Numeracy skills. 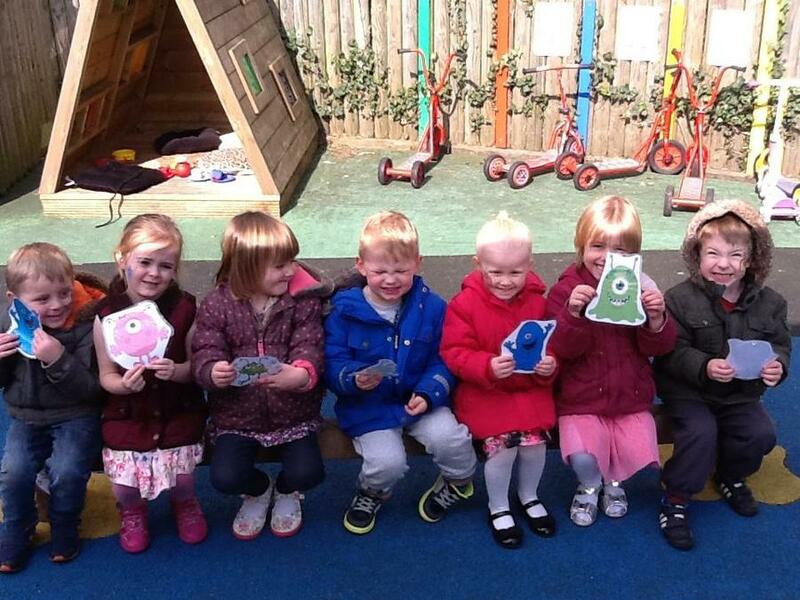 During each nursery session we also spend time in our key worker groups. 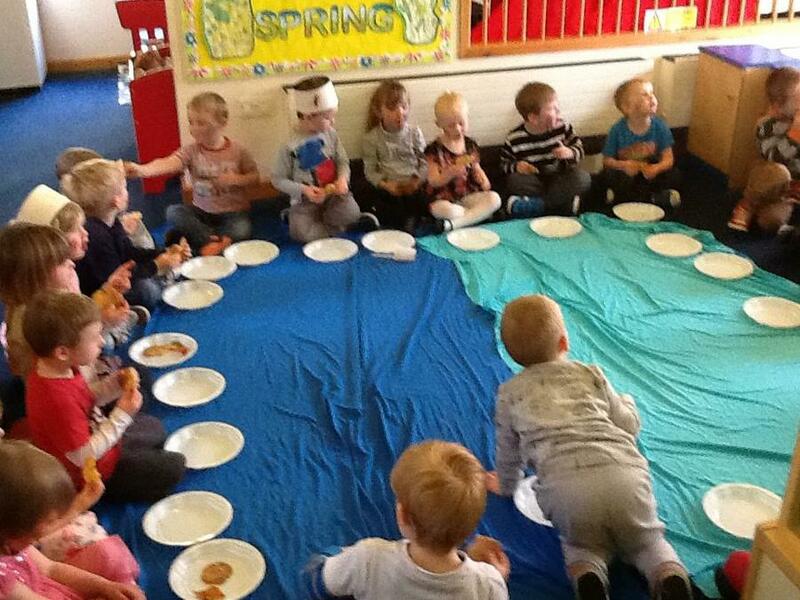 This is a time for us to listen to stories, share our own news, sing songs and practise and learn new things. 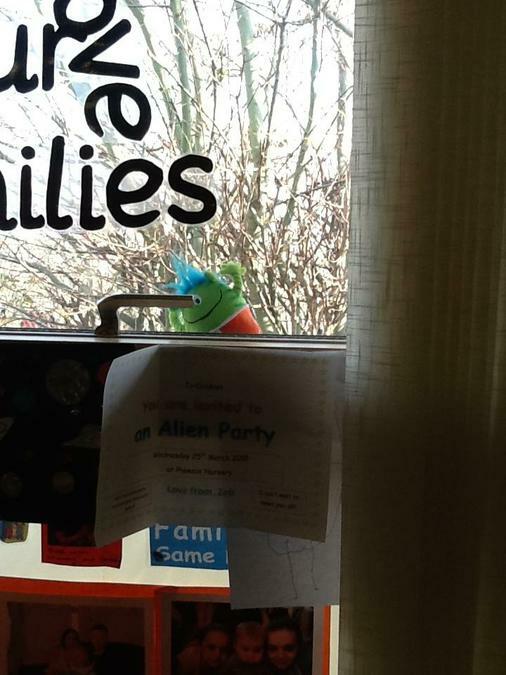 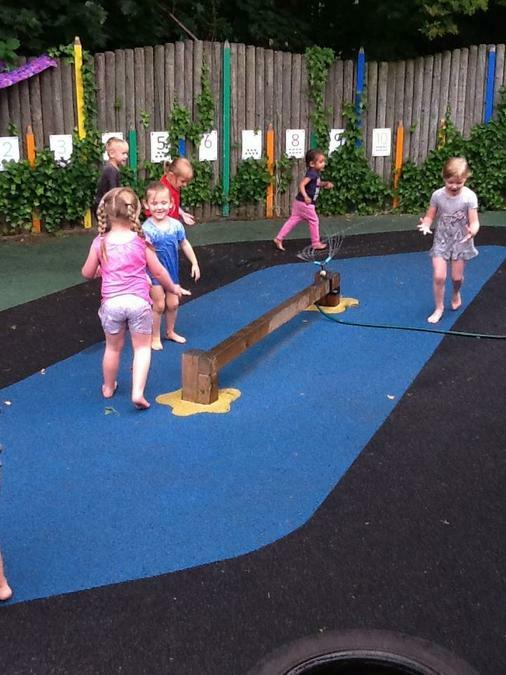 We hope you enjoy looking at our photos and reading about what we have been learning! 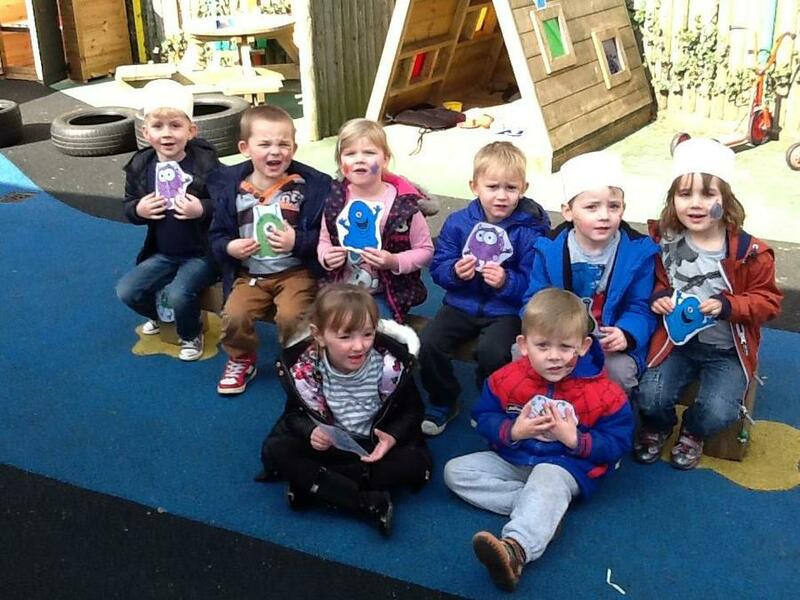 We had a great day at Nursery today. 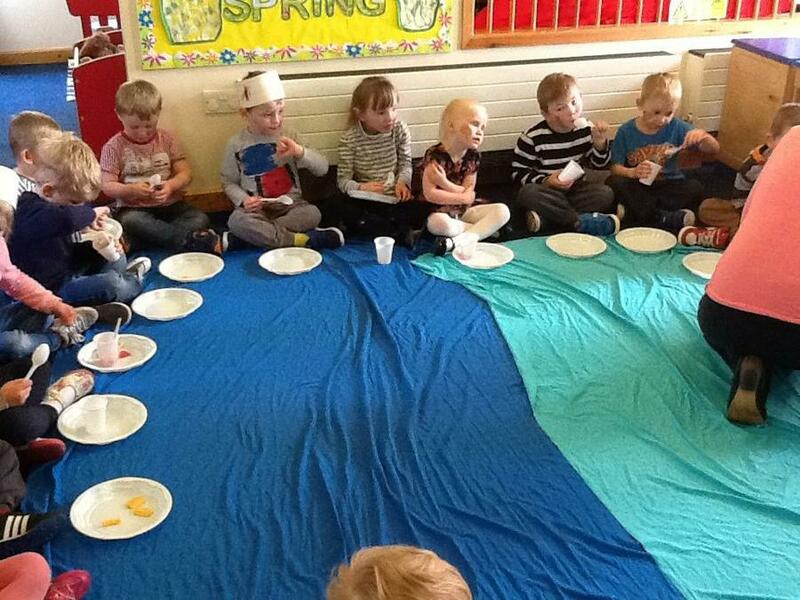 We had a lady called Helen come to visit us to do some drama with us based on the book 'Billy's Bucket' - we pretended to be in the sea; we found some treasure, met a mermaid king and did lots of sea creature actions! 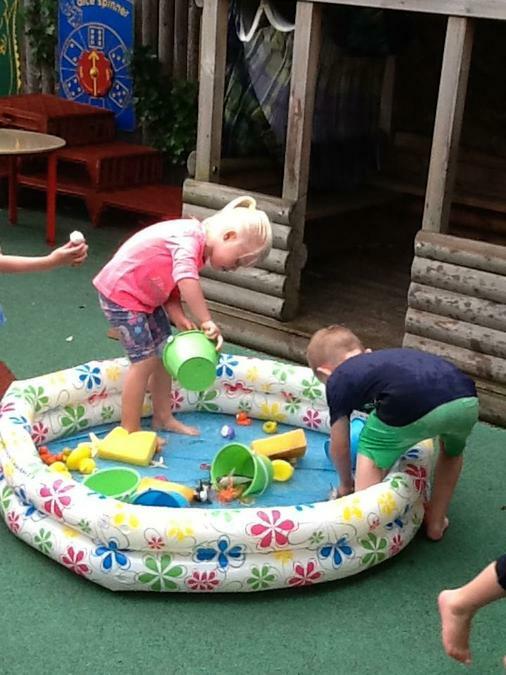 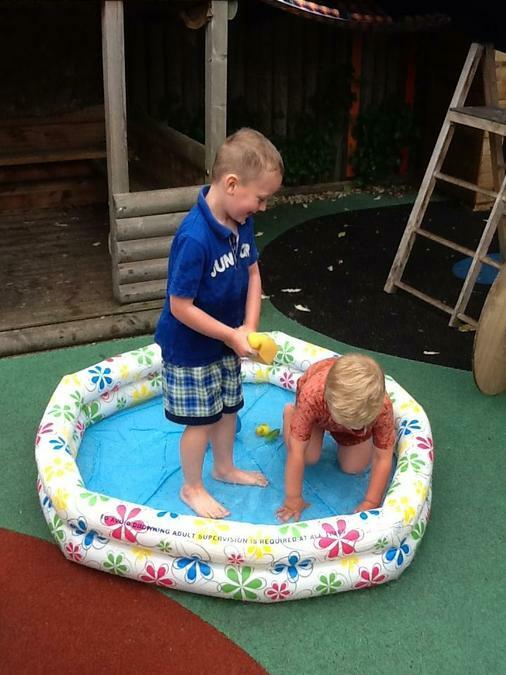 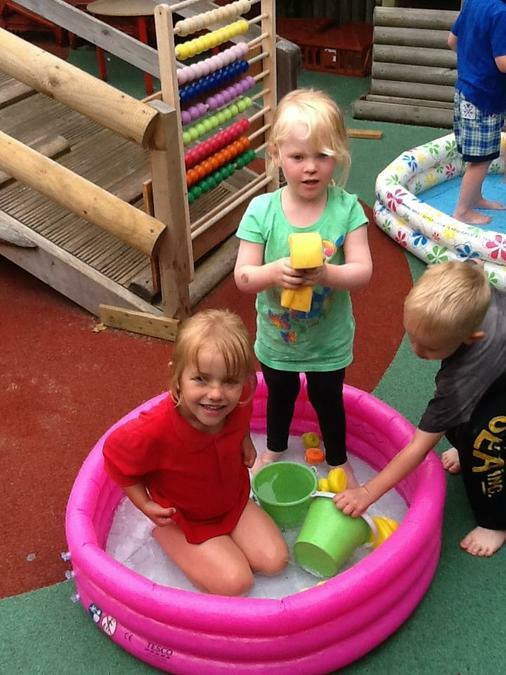 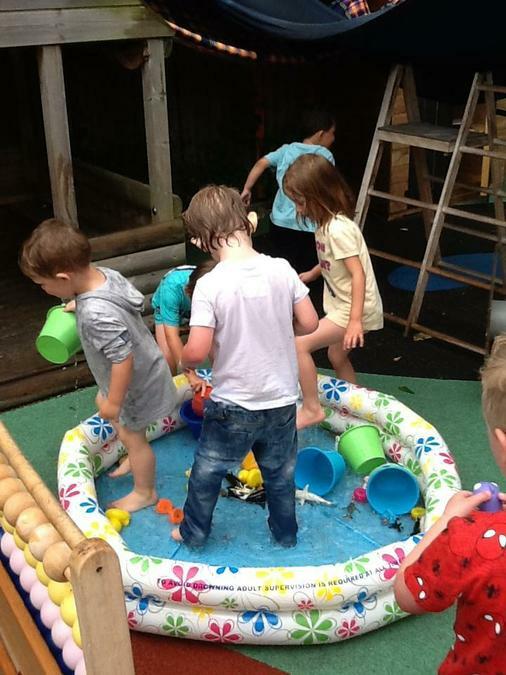 We then went back to Nursery and had lots of outdoor water play - take a look at the photos below to see our fun! 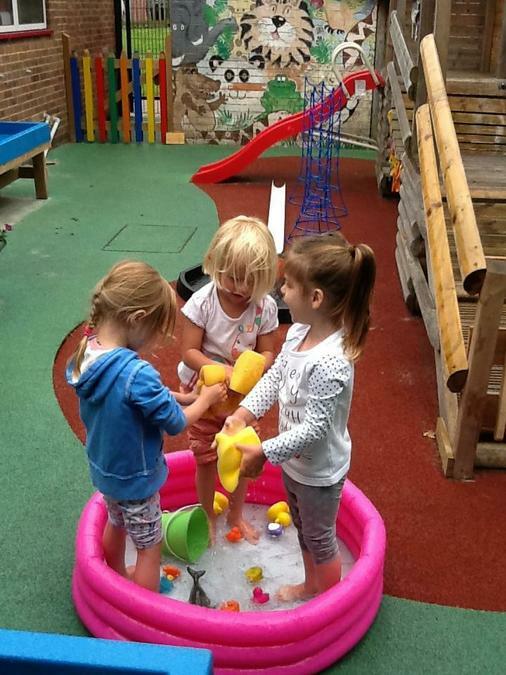 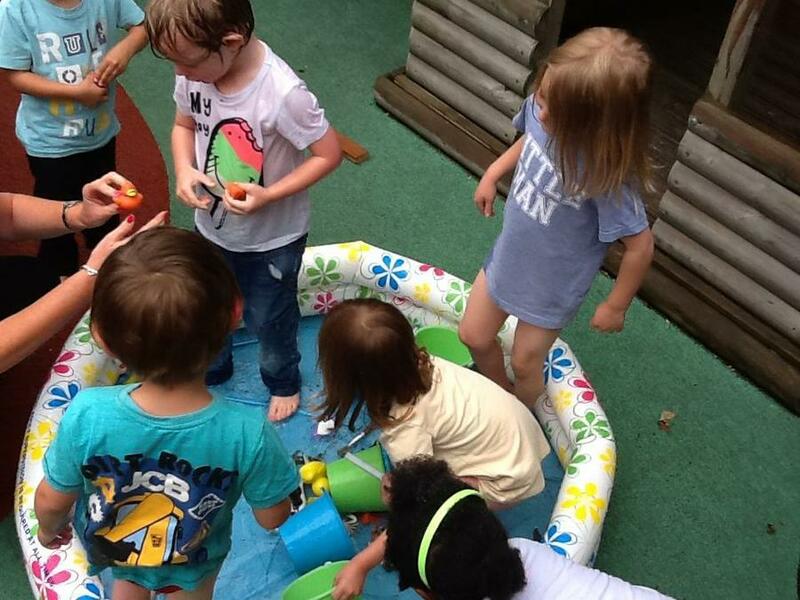 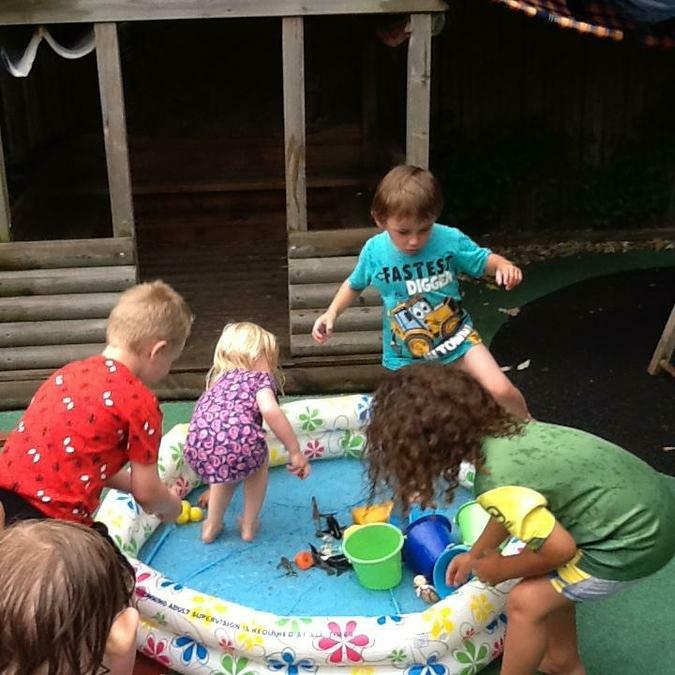 Water Play - Monday 13th July. 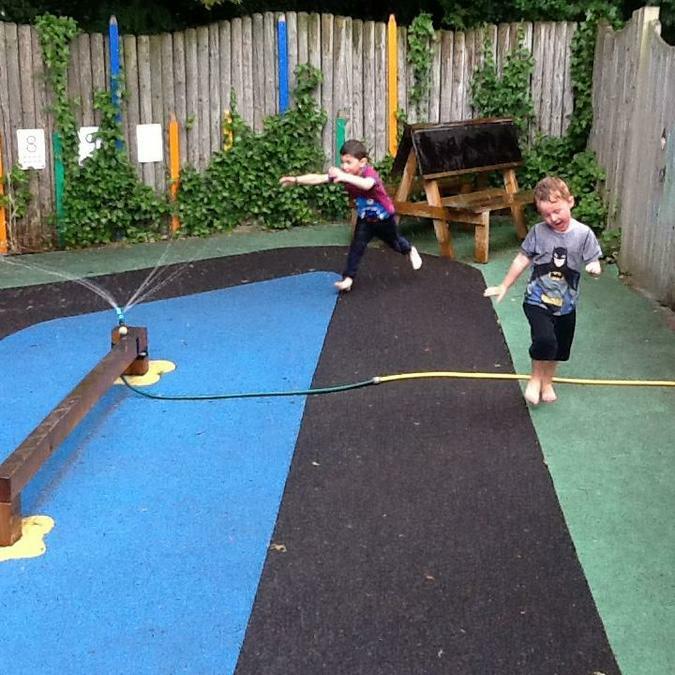 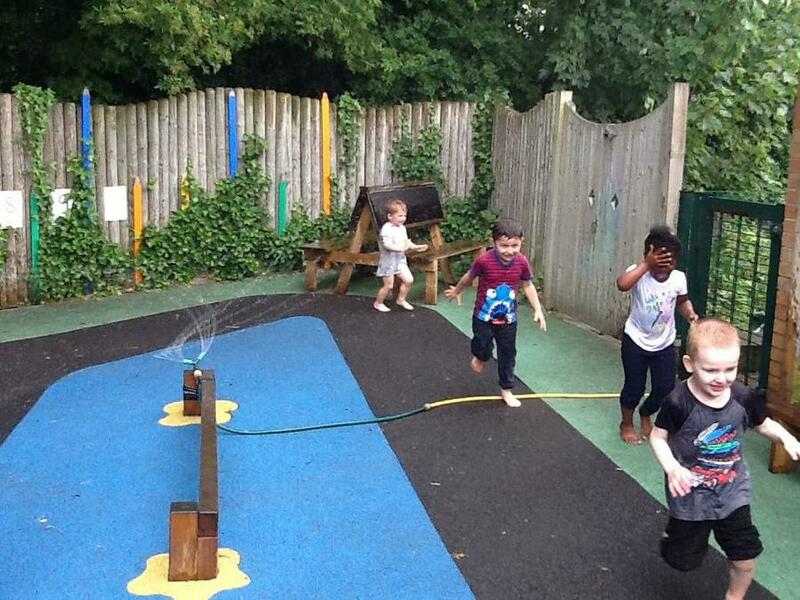 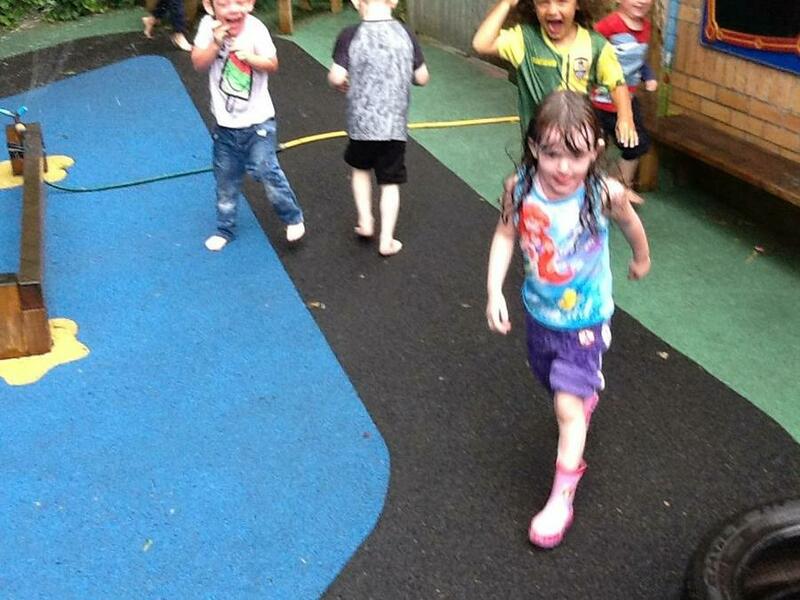 We had lots of fun getting wet outside in the paddling pools and running through the water sprinkler!!! 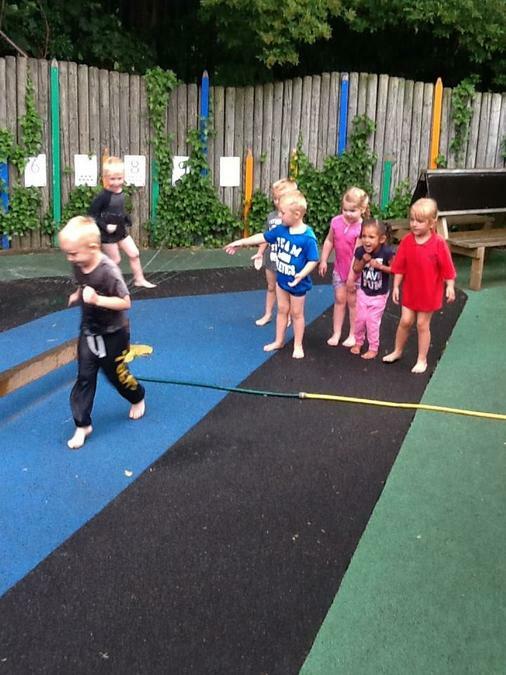 Wednesday 8th July - Sports Day!! 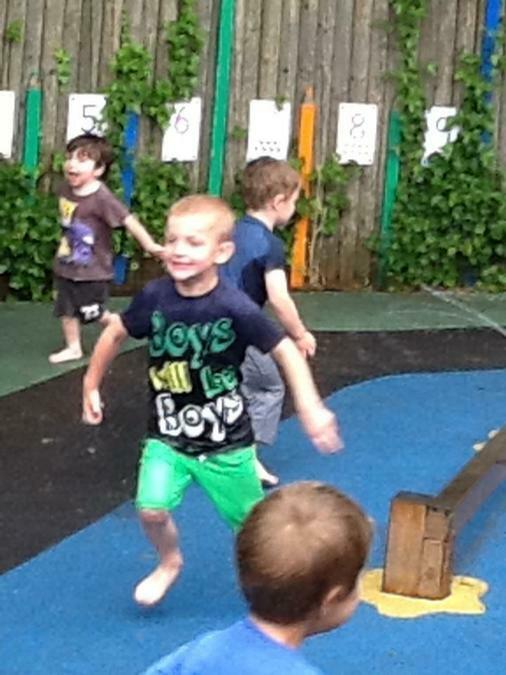 What a super sports day we had! 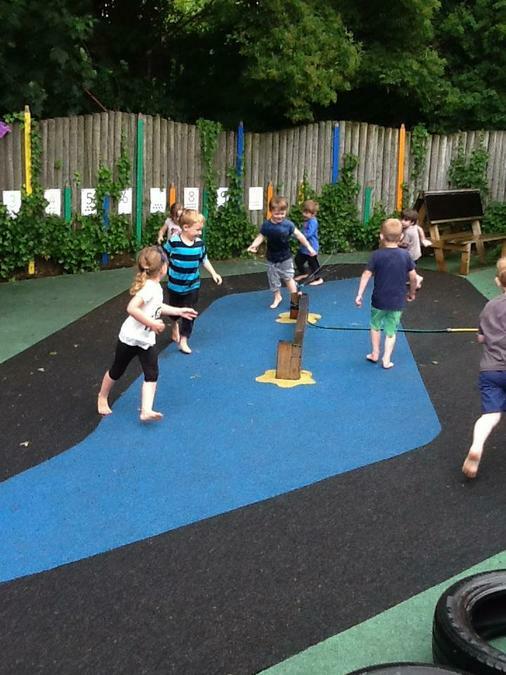 Luckily the weather stayed bright and sunny so we were able to have a great time completing all of our activities. 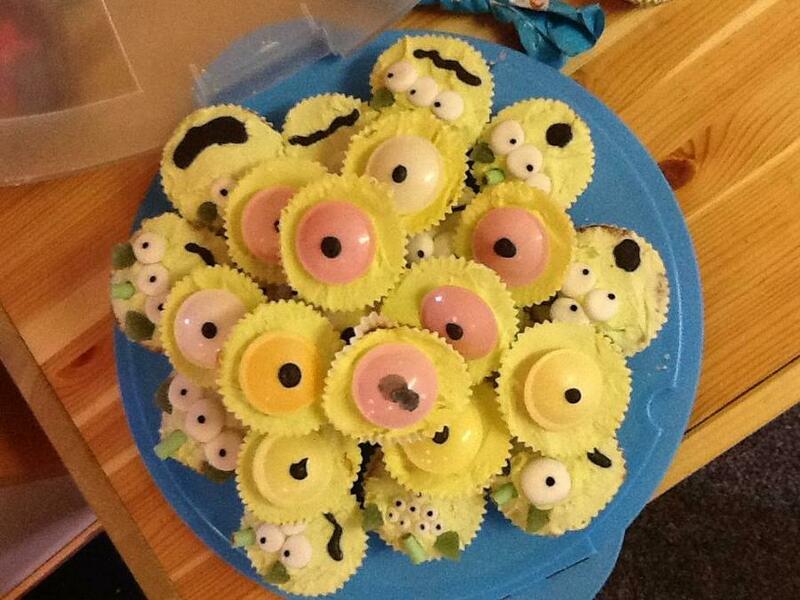 Well done to everyone, and thank you to all the supporters who turned up to cheer us on!! 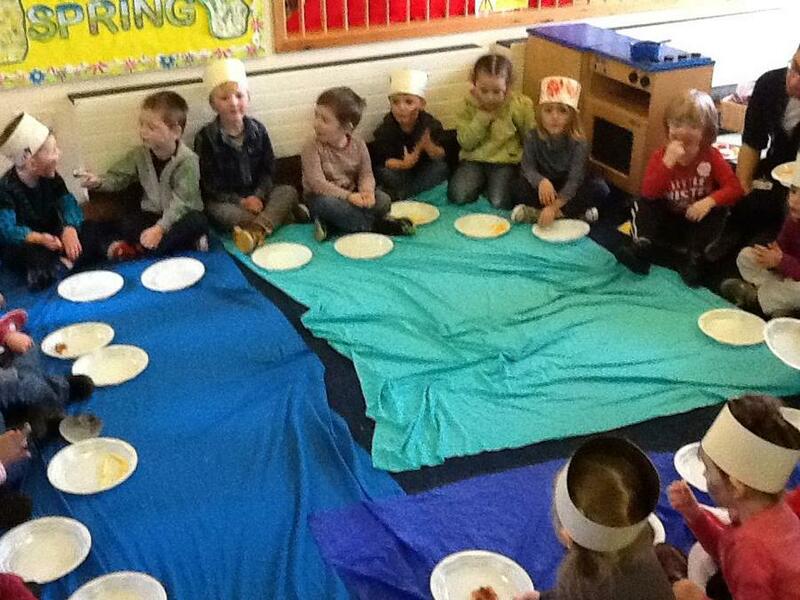 Book Week! 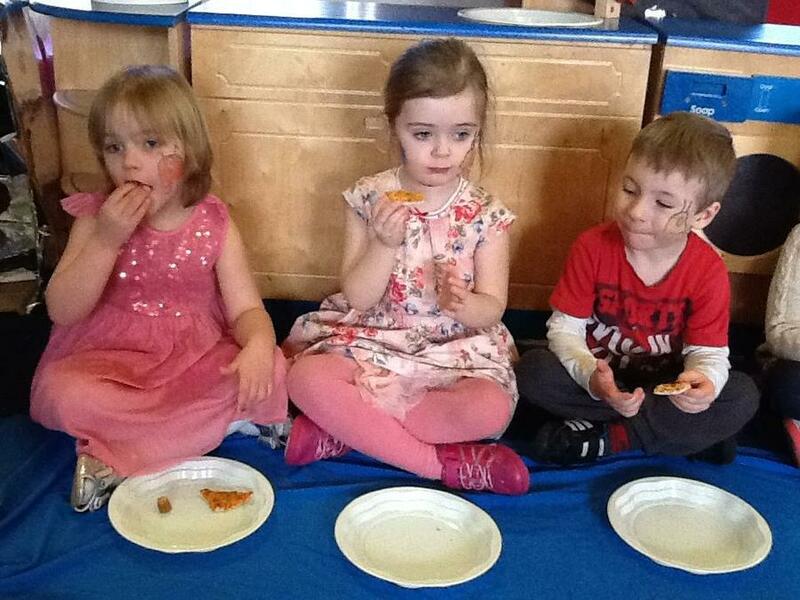 We invited our grown ups to stay and share stories and story activities with us! 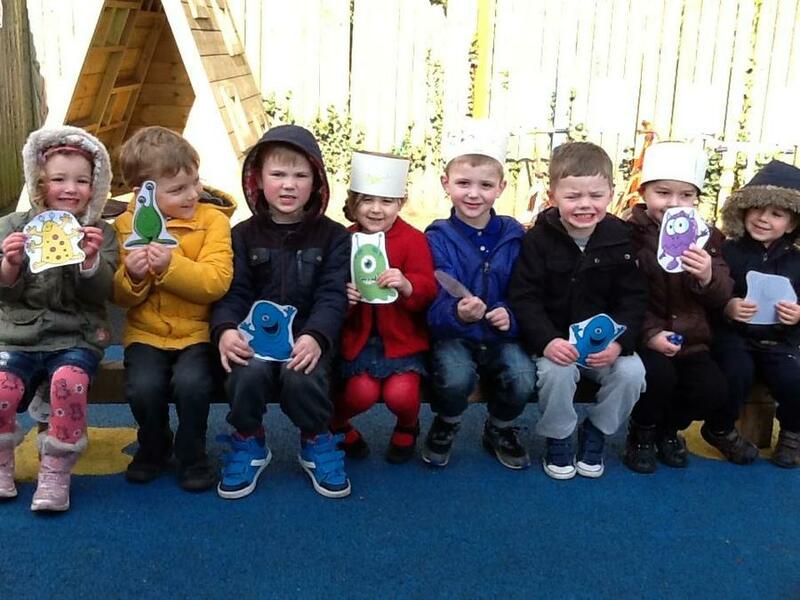 Which story would you choose? 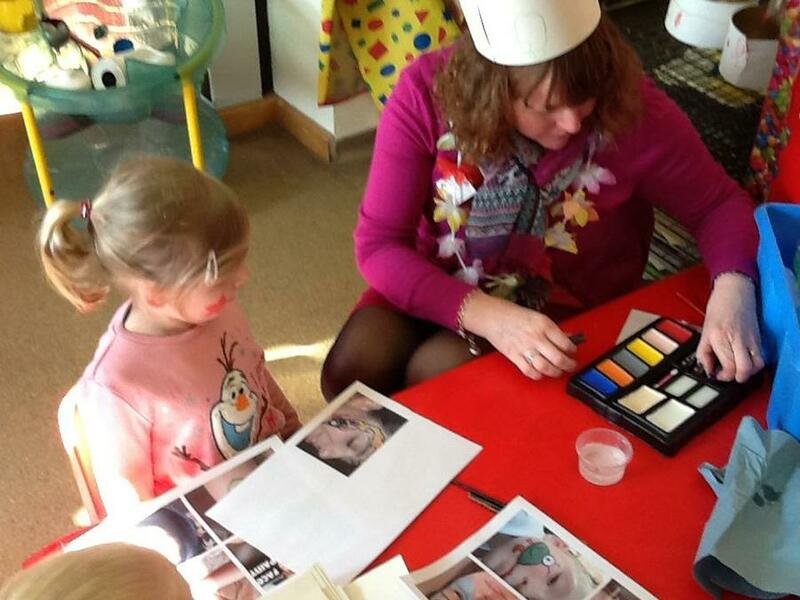 Sharing story activities with our grown ups!